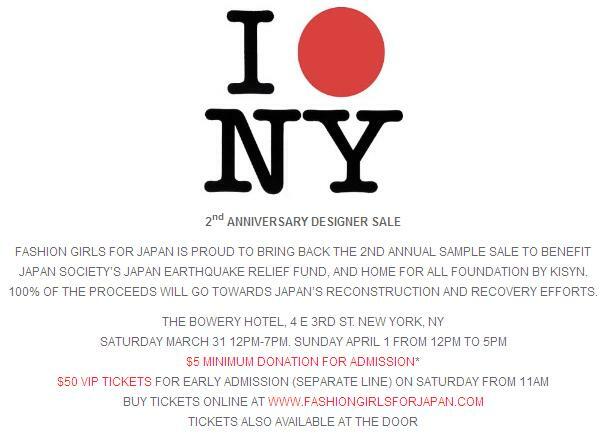 Slow and Steady Wins the Race, among other great designers, will be a part of Fashion Girls For Japan, a sample sale whose funds will be used towards charitable causes for the Japan Society's Japan Earthquake Relief Fund. Shop! And feel good about it.